It was amazing to see the footprints which had been revealed by the sea. These are located on the north coast of England and are currently in the inter-tidal zone. 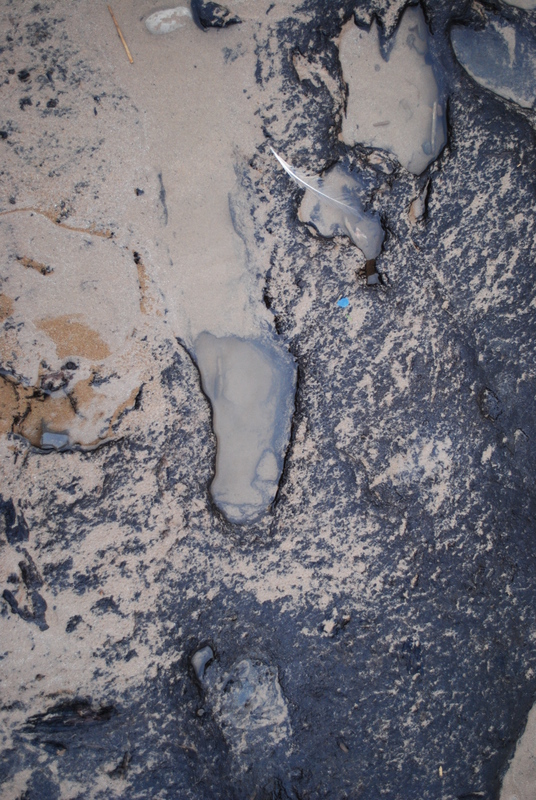 They probably date to over six thousand years ago, when the feet of people and animals sank into the upper surfaces of peat. They were then sealed beneath sands for thousands of years when the coastline had retreated. Now, these footprints are revealed daily by the action of the sea, they get covered by water during high tide and are exposed to the wind when the sea retreats: natural rhythms which will eventually scour theme away. So it is perhaps no surprise they aren’t perfect in form…! Our landscapes have changed radically since the last Ice Age. The water taken up to form ice sheets lowered the sea levels around the world, and where these massive ice sheets sat on land, their sheer weight pressed the ground down. 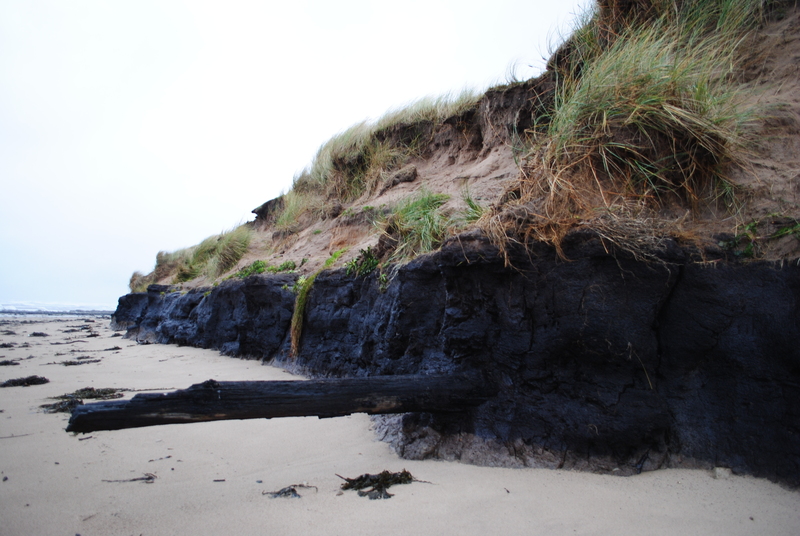 Since then the ground in Northern Britain has slowly been ‘springing’ back up, and shore lines have changed radically over this period. Such changes are most strikingly evident, with the remarkable insights in recent years into the submerged landscapes around Britain’s coast, not least with the scientific work which has mapped ‘Doggerland‘: a low lying boggy landscape of river and lakes. There was thus a time when you could walk across the lower ground between Britain and Northern Europe. Such insights may cause us to think differently when we pause to contemplate a seascape: in many cases there may be the remains of ancient landscapes preserved beneath the water. 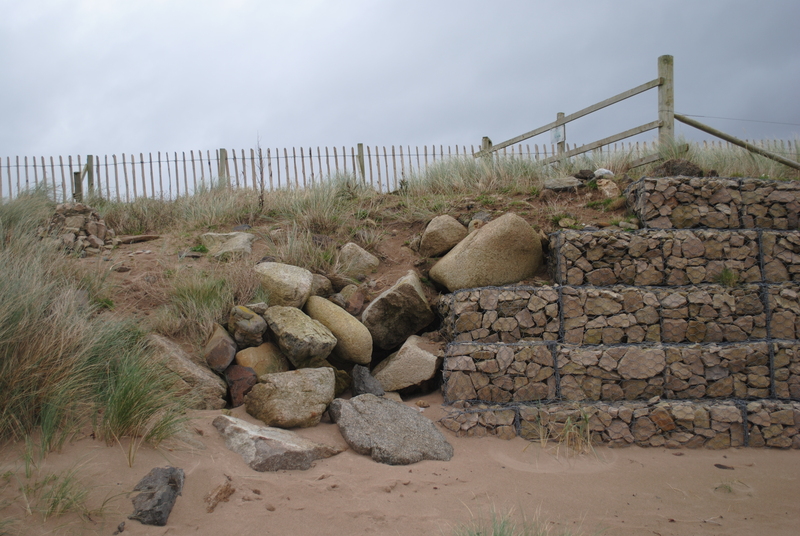 A location on the coast does, however, mean when such remains are present they are particularly vulnerable to damage through erosion. Climate change may result in rising sea levels, and more frequent, higher energy, storms and waves, which is accelerating such processes of destruction. This also now leaves difficult decisions about how we manage our coastlines, and what their character will be in the future: where can controlled retreat, such as the creation of salt marshes, take places; or where do we create hard edges to defend against the power of the seas? It also reminds us that for millennia people have, not only been transforming landscapes, but responding to the processes of change inherent in them.